Email marketing is one of the more popular trends in this current day and age as there is a great impact that this kind of marketing can make. Many companies that have a database of clients willing to receive offers are earning more and more business since the method is much more effective than the traditional spam email ads that have been circulating around forever. In order to earn business in this field, you have to be persuasive and reach in a manner which is hard to refuse. If you can convince the possible client, it is only then that they will trust you to convince others. Start the email with some details and kind words for the business of the person that you are emailing. Always remember to keep it thoroughly professional. In the next paragraph, introduce your services in detail and let them know about the various options that they can make use of. Make sure that the message is sent across in a clear manner. Conclude by expressing your hope and desire for working with the company and building a long term relationship. Your restaurant is a household name in the Bethesda area and people from other areas also prefer your dining facilities due to the high quality of your food and service. It is a growing business and we wish to help in this matter. We have a database of 15000 people who have signed up for the latest offers in various areas. Over 5000 of them live a few miles from your restaurant. 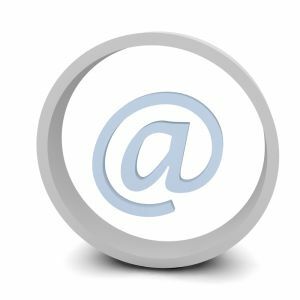 We can send them an effective email about your restaurant, the food and service quality in order to get you even more clients. There are many options and a detailed proposal has been attached. You can expect a spike of several points in your clientele. We look forward to hearing from you and building a long term business relationship. Your [name of company] is the fastest growing business concern in [name of area]. We wish to offer you our services in order to increase your sales. We have [number of users] on our website who have subscribed for local offers in the area. You can reach many new clients this way. The various options that you can make use of are detailed in the attached proposal. We will be looking forward to a positive response at your end.